Can Al Boum Photo Retain his Cheltenham Gold Cup Crown? After saddling four runners in the 2019 renewal, Irish trainer Willie Mullins claimed his first ever Cheltenham Gold Cup when Al Boum Photo defied a late challenge from Anibale Fly to win by just over two lengths. Given an injury-free season for the 2019-20 campaign, the 7-year-old gelding should return to Prestbury Park with the aim of defending his crown. What are his prospects of achieving that target and who are expected to be the likely challengers now that the Cheltenham and Aintree festivals are complete for another year? The 2019 hero Al Boum Photo and winning jockey Paul Townend gained notoriety when involved in a strange incident at last season’s Punchestown Festival after crashing through the wing of a fence. Following a lengthy break, the gelding subsequently won a listed event at Tramore during early January before sealing his Gold Cup win. He is still relatively young as a staying chaser and has enjoyed a light campaign this term. 2018 winner Native River eventually overpowered Might Bite when the going was particularly heavy allowing the 9-year-old to set a strong pace in favourable conditions. In two races prior to the 2019 edition, the Colin Tizzard gelding twice raced admirably over an inadequate three miles trip and then encountered good to soft going at Cheltenham which did not play to his strengths. He finished fourth that day but may just lack the necessary cruising speed when underfoot conditions are not testing. Meanwhile, the Paul Nicholls trained Clan Des Obeaux has been a revelation this term, winning the King George VI Chase at Kempton before comfortably sealing the Denman Chase at Ascot. His limitations may have been exposed at Cheltenham where he has never won, and he was perhaps feeling those exertions when a brave second at Aintree. It just may be that he will bypass the March festival next season and concentrate on Liverpool. Both Clan Des Obeaux and Native River were beaten by Bristol De Mai at Cheltenham but the Nigel Twiston-Davies gelding has earned a reputation as a Haydock specialist especially in the mud. 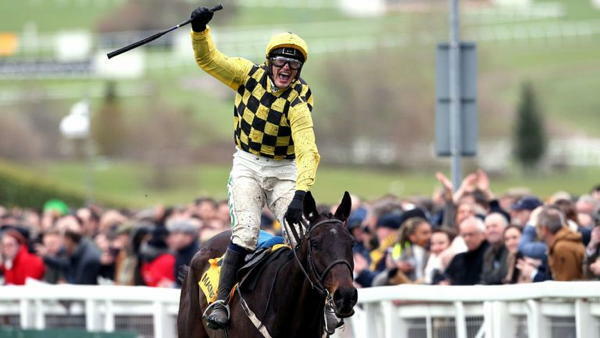 Yet a third place in the Gold Cup followed by a fourth position in the Aintree Betway Bowl did underline his bravery. He is still only 8-years-old but may be a better horse when allowed to dictate races in heavy going. Anibale Fly rarely dictates races although he is a fairly consistent horse trained by Irishman Tony Martin. He always seems to be thereabouts at the finish of races but never wins. Two placed efforts in successive Gold Cups and strong performances in the last two Grand Nationals suggests that he could be the permanent bridesmaid but not a horse to ignore for the prize money. At 9-year-old, he could still pose a threat next season. Kemboy was considered a decent Irish threat in this season’s Gold Cup but was an unfortunate casualty at the first fence. The Willie Mullins horse may have benefitted from being a relatively fresh horse when subsequently winning easily at Aintree and he was unbeaten in his two other races this season including the Grade 1 Savills Chase at Leopardstown. Given a clear round next term, he could emerge as the stable star. Topofthegame could also emerge as a possible Gold Cup hero after winning the RSA Chase at Cheltenham. After campaigning over various distances this term, he was able to fully utilise his stamina at Prestbury Park and may not have been helped by the sharp flat circuit at Aintree when beaten in the Mildmay Novices Chase. The Paul Nicholls horse could be an interesting contender next season. The winner of that novice’s chase appeared to appreciate the three miles distance of that race. Having competed in several clashes with Defi Du Seuil over about 2m4f this term, Lostintranslation was more comfortable travelling over the longer trip and finished a fairly easy winner. After saddling Cue Card, Thistlecrack, Native River and more lately Elegant Escape in recent Gold Cups, Colin Tizzard could have another potential winner for next season. Owner Michael O’Leary has implied the dual Grand National winner Tiger Roll is unlikely to defend his crown as he will probably carry top weight. Another tilt at the Glenfarclas Cross Country is the probable target, but with O’Leary and trainer Gordon Elliott divided about future targets, entering the 9-year-old for the Gold Cup could be a genuine option. Little Tiger Roll is a Cheltenham Festival specialist and won this season’s cross country with contemptuous ease after claiming victory in a 2m5f Grade 2 hurdle for his prep race. The horse possesses both speed and stamina and could be a live threat to the main favourites.